and to organise an annual conference that provides an opportunity for learning and exchange. 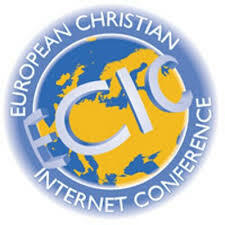 Membership is open to individuals with an interest in the use of the internet in the ministry of the church, belonging to of one of the member churches of World Council of Churches (WCC), the Conference of European Churches (CEC) or the Catholic Church and to Christian organisations affiliated to these churches. Exceptions may be made by the board on a case by case basis. Membership is obtained by payment the annual membership fee. Honorary membership can be awarded to individuals who have promoted the cause of ECIC in recognition of their work by a vote of the annual meeting. Churches and organisations -- which are members of or affiliated with the WCC, CEC or the Catholic Church -- that appreciate the work of ECIC can become institutional members. Institutional members are required to confirm the name of their representative each year. Membership is terminated automatically if the membership is not renewed by paying the annual membership fee. The membership fee must be paid before the annual meeting. The membership period is from annual conference to annual conference. Membership can be renewed by paying the annual fee. The board has the right to cancel the membership of a person whose conduct is detrimental to ECIC and the membership will be advised of the decision. In the event of any dispute involving membership the decision of the board is final. Membership can be cancelled by the member. Individual membership is terminated by death, institutional membership by dissolution of the institution. People who do not renew their membership may choose to remain on the ECIC network's mailing lists or remain members n the ECIC social media groups. The ECIC board is responsible for policy and for the oversight of any ECIC activity and for the management of the accounts of the network. be responsible of the ECIC finances. The board will consist of four members from different European countries. The board should be as diverse as possible and will not consist of more than one person per country. To take care of these tasks, the board will choose among themselves a person to be president, secretary, treasurer and communications officer. Board members are elected to serve for a period of four years and can be re-elected for a further period of three years. The length of the period is chosen to guarantee continuity and obtain and maintain knowledge necessary for this work. The board can co-opt additional members if required. Any person co-opted will serve until the annual meeting at the following conference. ECIC does not aim to make profit. In order to organise the annual conference, ECIC collects payments from conference participants. Any money left after organizing a conference, will be kept as a security to cover a more costly conference in the future or possibly to sponsor poor churches who wish to send a participant to attend the conference. The treasurer and the president are both, in their roles, assigned authorization to sign for ECIC, each separately. The board may also authorize any other board member to sign for the network. The person who is assigned to be treasurer will hold a bank account in the name of ECIC where the finances of the network are handled. All bills sent to ECIC will be viewed by two representatives of the board. The treasurer will give a financial report to the board regularly. The treasurer should keep and share proper account of the finances. Two auditors will be selected at the annual meeting. Two months prior to the following annual meeting, they will receive the financial documentation from the treasurer to audit. They will also prepare a presentation of the past years finances to the annual meeting. After the report of finances, the annual meeting will approve them, thus free the treasurer and the board from any further responsibility from the past year. When the treasurer changes, the new treasurer will open a new account, the money will be transferred and the old account closed by the former treasurer as that person's last task in this role. The conference director organizes the conference. The conference director must be an ECIC member and is approved by the board. The conference director gathers together an organising team for the conference. A conference director can be nominated for election to the board. If a board member also serves as conference director, the conference director of the previous conference will serve an additional year as a member of the conference committee. Conference directors are appointed to the conference committee for two years: one year for organizing the annual conference on a local level, the second to pass on the knowledge to the new conference director. The conference director should form a conference organisation team who will be responsible for the conference. The conference director may invite members of the conference organisation team to participate in conference committee meetings. The conference organisation team is responsible to the ECIC board for the conference they are hosting on behalf of their church or organisation. The conference committee is a joint meeting of the ECIC board and the conference organisation team. In addition to the board members, the conference committee will comprise the conference director, the director of the preceding conference and key members of the conference organisation team selected by the conference director. Conference committee members will begin and end their term of office during the annual conference. Any paid up member can agree to be nominated for the election to the board. Nominations have to be accompanied by two signatures of other members. Nominations must be submitted to the board member to the board by 6 pm the day before the election. If more than one person is nominated there will be an election by secret ballot. After the election of a new board member, the board will decide which board member serves as president, secretary, treasurer or communications officer. Should a board member resign from the work of the conference committee, or, their period of office is completed, it will be communicated to the members. The election of a new board member shall take place at the next annual meeting. The Board will arrange meetings as required at a mutually agreeable venue. The Conference Committee will meet and view the conference venue no later than six months before the conference. Any member of the Conference Committee convicted of a serious criminal offence or whose conduct can bring the work of ECIC into disrepute will be removed from office by the remaining board members. Conference committee members do not receive any payment or expenses from ECIC. Board and conference organising committee members’ expenses will normally be funded by their own church or organisation. ECIC will be represented by the board and also by members separately with the approval of the board. The conference takes place every year and is organised by the conference organisation team which is led by the conference director. Any member may put forward a proposal to host the conference in their country. The facilities of the proposed conference venue will be expected to comply with the minimum requirements as agreed by the board. The annual meeting will discuss the future conference venues. The conference director for the conference will become a member of the conference committee one year prior to the conference. If there is no offer to host the conference or if it is not possible to pursue the venue agreed upon then the board will decide on the venue. The quorum for the annual meeting is 12 members including two members of the board. Amendments and changes to the Constitution may be proposed by any ECIC member. They must be submitted to a board member two weeks prior to the conference. In order to vote on changes of the constitution, a majority of two thirds of those voting is required. a decision of 75 % of members at an Annual Meeting. The Board members in office at the time of dissolution will be responsible for winding up the finances of ECIC. This document is an agreement to organize the functions of the ECIC network, discussed and approved in the annual meeting in Dublin 2013.